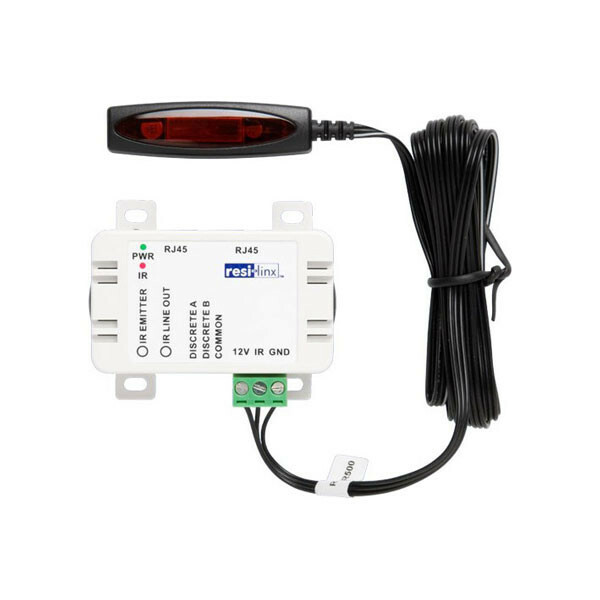 Receiver Module for use in resi-linx® NEW 'linx-IR'Discrete Infra Red system. 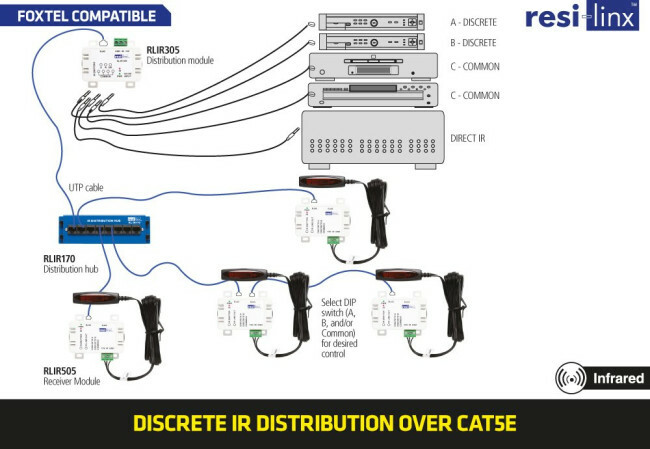 Advantage of Discrete IR control of specific AV devicesfrom each zone via Dip Switch selection. Easily extendable cable distance by 'Plug and Play' facility using RJ45. Built-in LED's to show acknowledgement of IR commands and Power status. Powered remotely by Distribution Module.